Love the mix of gold and silver? Me too :) This listing is for a set of two mixed metal rings. One 14k gold fill that has been hammered to catch the light. 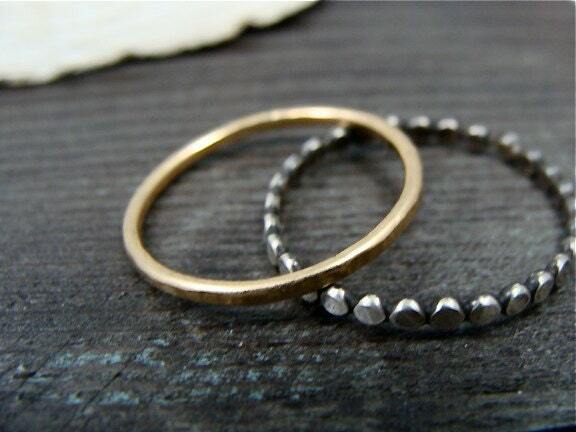 The other is a slim silver bead band that has also been hammered and oxidized for a time worn look. 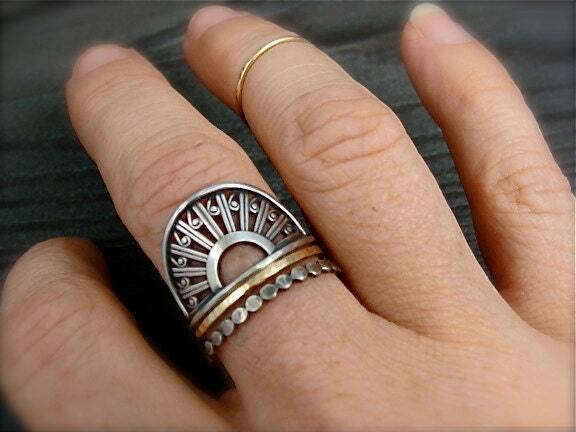 The two rings are shown with my deco and floret rings available for purchase in my shop. 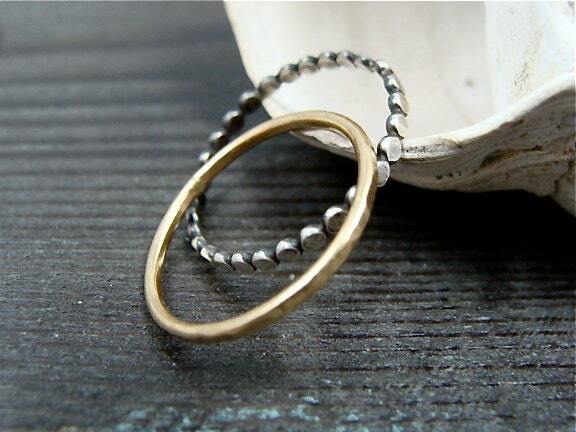 Wear them together, alone, or with other rings in your collection. 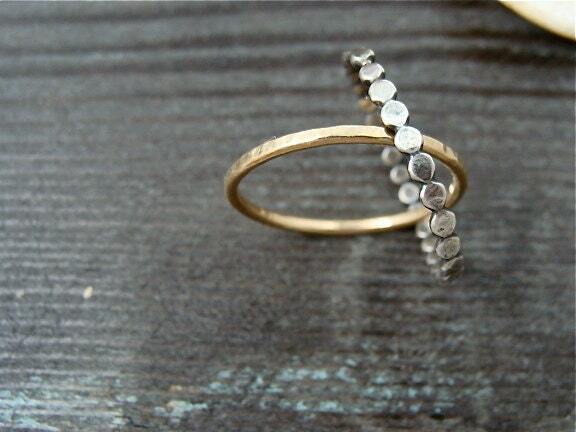 The plain band is available in yellow gold filled, rose gold filled or sterling silver. There will be a $10. restocking fee for size exchange. I provide a customs form # number with both standard international first class and international express. It is your responsibility to contact your local customs or post office if you have questions about delays. International Shipments usually take 3 weeks to 1 month to arrive from the time they are mailed out. Depending on where you are on the globe, it may be longer. ☞ International packages can ONLY be tracked if sent international express. The cost is around $45. USD and may be more for some locations. Please contact me if you'd like international tracking. 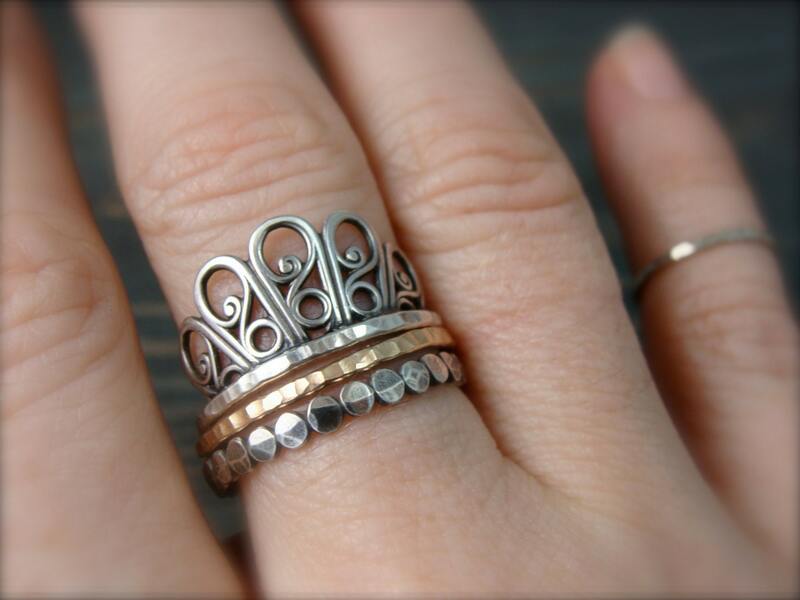 These go perfectly with the other ring I purchased! Beautiful, but already bent the bubbled ring. Thought they would be a bit more sturdy. Nevertheless, they are beautiful. Very nice set of bands, love the contrast between silver and gold.